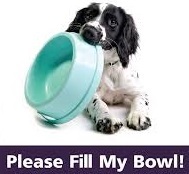 Through a partnership with several organizations we have established the Beatrice Humane Society Pet Food Assistance Program for the Gage County community residents who are having difficulties meeting the nutritional needs of their pet due to financial strains. Because funds and pet food are limited, this program is to be a temporary source of pet food, not a long term or sole source of pet food. Applicants must provide us with an ID or light bill indicating residency of the county we serve. Only one bag of food will be given per month on the designated date chosen. If you cannot make the date unfortunately you will need to wait for the following month. You must come to Beatrice Humane Society in person during business hours. By becoming accepting food from the program you agree to withdraw from the program once you are able to afford food for your pet (s). Spaying and neutering is top priority in order to reduce the pet population, you can view the spay and neuter tab for low cost information. You agree to have your pet (s) spayed or neutered as soon as you can. You agree not to breed your animals when receiving food from this program. You also understand that The Beatrice Humane Society will not assume any liability and/or guarantee for the pet food products distributed through this program.